Maintaining your car is fun and rewarding, but it can be a chore if you don’t know what you’re doing. Check out some easy safety checks you can perform on your car today. Take a look at your vehicle and check for any superficial damage. Check that all mirrors and windows are clear of chips, cracks, and scratches. Catching chips and cracks in your windscreen at an early stage can save you a lot of money in the long run. Windscreen repair or replacement can be costly. Take some time to check out your lights too, and make sure your headlights and taillights are in working order. Now for an interior safety check. First, beep your horn and check that it still sounds out. Then check that your handbrake is in working order and holds well over steep hills and roads. Flick your windscreen wipers on and make sure that they are all in working order. It’s also important to note whether your wiper rubbers are secure. Take some time to check out your car’s seatbelts. It is important that you keep an eye on any general wear and tear and replace or repair them. Check for worn threads, damaged belts, and stains. 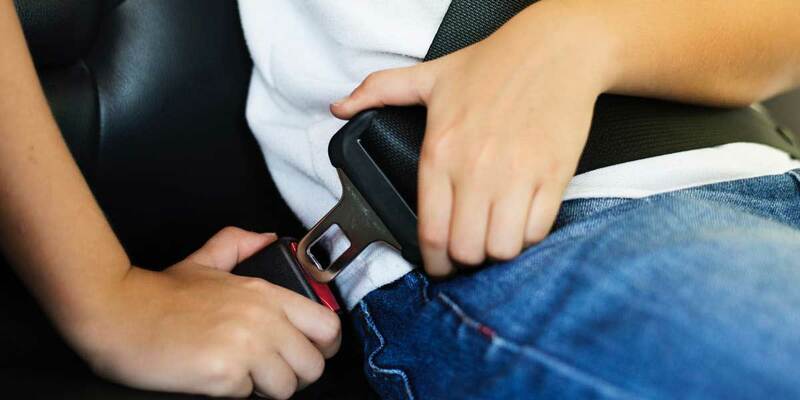 To check the seatbelt safely works, tug gently on the belt to make sure it stays in place. Often overlooked, your car’s manual will have relevant information about caring for your vehicle. Whether you’re new on the road or a seasoned driver, checking through your car’s manual will give you a better understanding of how to look after your car and how often you should be taking your vehicle in for servicing. This check is slightly more advanced, but learning how to check your car’s fluid levels will be a big help in the future. Check under the hood and gage where everything is. In most cases, you can see the tank level straight away and will have gauges that you can pull out. Pull on the gauges to get an idea of your car’s current fluid levels against your car’s optimal levels. Caring for your car battery is another important part of maintaining your vehicle. Cleaning your car battery is a simple task, however, car batteries should be installed by a professional so remember to take caution. Newer batteries don’t need to be maintained as much, but it’s important to check your car battery regularly in case of leaking or mineral build up.